The 2017 British GT Championship makes its annual trip to Belgium this weekend for rounds seven and eight. 14 GT3 entries will be on the grid. 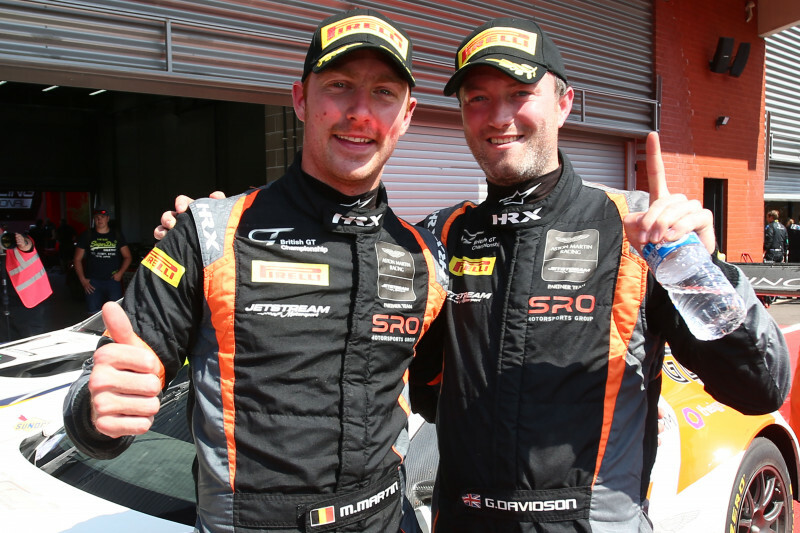 Missing for Spa will be the #19 Century Motorsport Ginetta G55 GT3, driven at the previous round by Aleksander Schjerpen and Charlie Robertson. There are four additions to the GT3 grid. TEAM WRT has entered its #17 Audi R8 LMs to be driven by Alain Ferté and Stuart Leonard. Kessel Racing has entered its #39 Ferrari F488 GT3, to be piloted by Piti Bhirombhaki and Carlo van Dam. An additional Mercedes-AMG GT3 will be present when Kornely Motorsport brings its #70 entry with the driver line-up of Kenneth Heyer abd Patrick Assenheimer. Finally Barwell Motorsport will be placing a third Lamborghini Huracán GT3 on the grid with the #77 entry, driven by Adrian Armstultz and Patrick Kujala. The GT4 grid has expanded by one. Missing from the entries from Silverstone will be the #46 Optimum Motorsport Ginetta G55 GT4, the #86 GPRM Toyota GT86 and the #99 Stratton Motorsport Lotus Evora. The #86 and #99 entries were both invitations at Silverstone. Joining the GT4 field at Spa-Francorchamps will be an additional In2Racing McLaren 570S GT4. The current declared driver for the #14 entry is Jacques Duyver. Autoaid/RCIB Racing is fielding the #36 Ginetta G55 GT4, to be piloted by Adam Hatfield and Benjamin Wallace. Delahaye Racing team / Alexandre Viron is bringing its #50 Porsche Cayman GT4 Clubsport MR with the driver pairing of Viron and Emmanuel Orgeval. As was announced earlier in the week, Ebor GT returns to the British GT Championship for Spa with its popular Maserati GT MC GT4. Last seen at Donington in September 2016, the Maserati GT MC GT4 will be driven by Matthew Graham and Charlie Fagg. The top of the Drivers standings in both GT3 and GT4 is extremely close. In GT3, after their win at Silverstone in the #31 Team Parker Racing Bentley Continental GT3, Seb Morris and Rick Parfitt are only four points behind the leading pairing of Jon Minshaw and Phil Keen. Minshaw and Keen, drivers of the ##33 Barwell Motorsport Lamborghini Huracán GT3, lead the table on 119 points with Morris and Parfitt on 115. The GT4 Drivers standings are equally close with only five and half points separating the top six drivers. Alex Reed and David Pittard, drivers of the #51 Lanan Racing Ginetta G55 GT4, lead the table on 98 points with Adam Balon and Adam Mackay, drivers of the #72 Track-Club McLaren 570S GT4, three and a half points behind on 94.5. Two points further back, in joint third place, is the pairing of Stuart Middleton and William Tregurtha, who share the driving duties in the #55 HHC Motorsport McKaren 570S GT4. Two one-hour rounds comprise the Spa-Francorchamps meeting, which means that the amateur driver of the pairing will take the second stint of the second race. 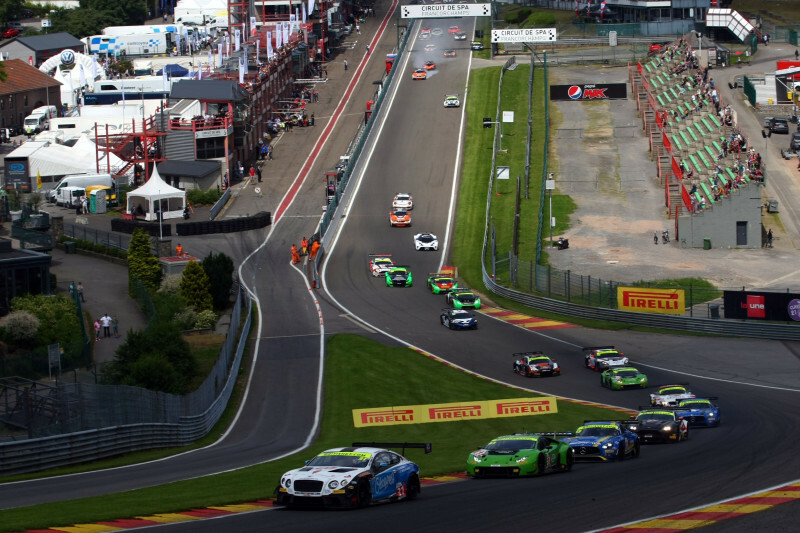 As The British GT Championship shares the race weekend with the Spa-Francorchamps – 25H, both one-hour races will be take place on Saturday July 8 with qualifying on Friday July 7. 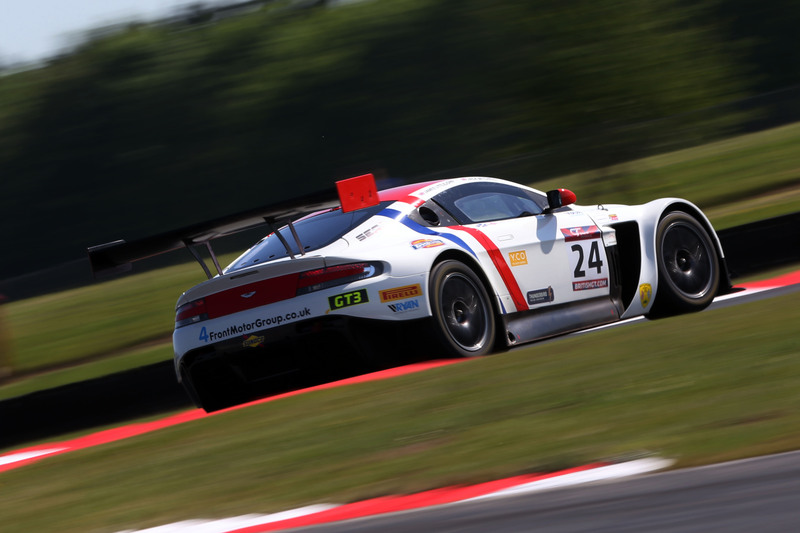 Qualifying for rounds seven and eight of the 2017 British GT Championship starts at 16:15 local time on Friday July 7 with Race One at 09;20 on Saturday July 8 and Race Two at 13:00.